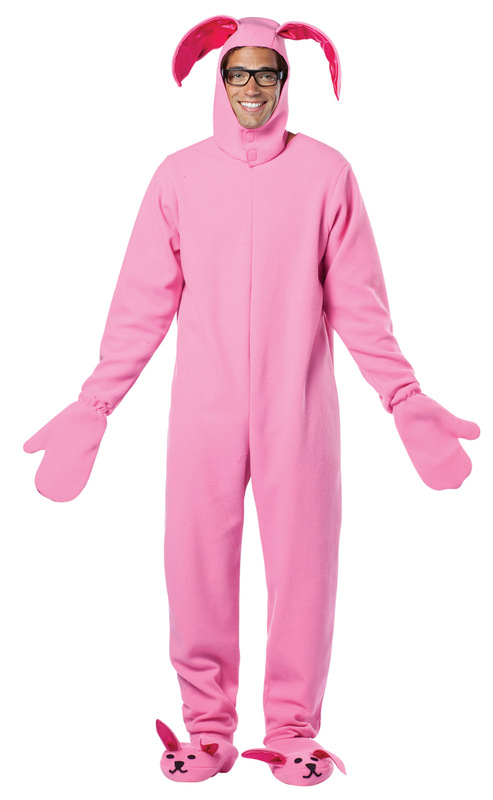 From the much-loved movie A Christmas Story comes this great bunny suit with attached bunny ear hood and bunny feet! Adult standard fits sizes 42-48. 100% polyester - feels like fleece.